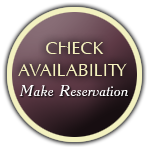 Many guests come to Hemlock Inn to “get away” and relax. They come to sit and enjoy the peace and quiet of the Smokies. They will rock and read a good book and enjoy the company of their friends and family. 1. Take a walk on the Arthur Stupka Trail: Begin at the end of the shuffleboard court. When you reach the top of the ridge, bear left and you will come to a bench. Just beyond the bench is an old fence, which marks the end of our property. Retrace your steps a short way and at the fork, go straight ahead instead of going back down the hill the way you came. 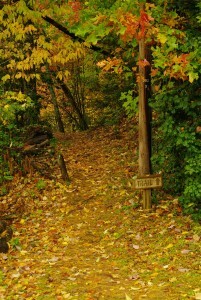 You will soon come to another fork; the “Short Trail” to the right and the “Long Trail” to the left. Both bring you back to the Inn . Going by way of the “Short Trail” your walk will be a little over a mile. 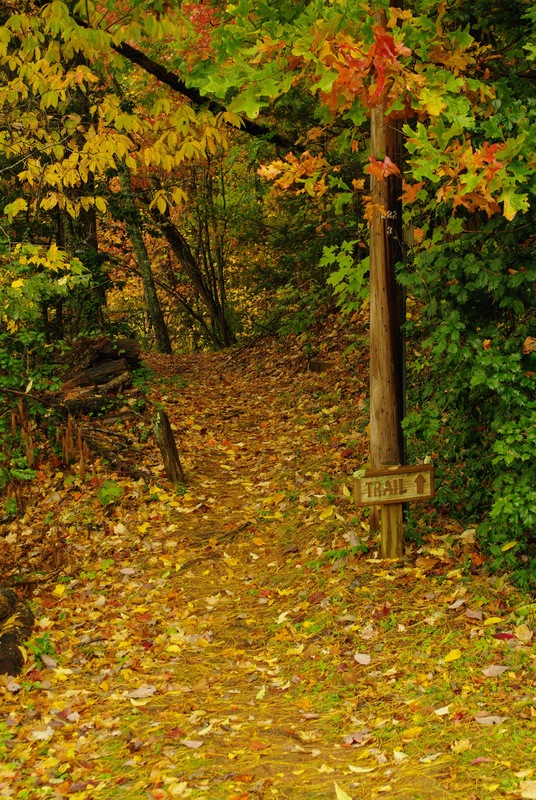 By way of the “Long Trail” you will walk about a mile and a half. You will see a number of wild flowers, especially in the spring. 2. Play a game on the back patio or front lawn: Shuffleboard, ping-pong, and Skittles are on the back patio. 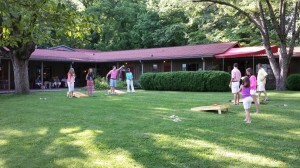 Wiffle ball, croquet sets, and corn hole boards and bags are available to play on the front lawn. 3. 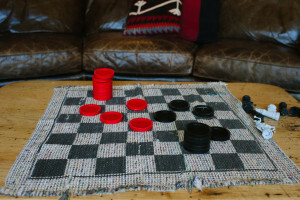 Organize a game of cards or a board game: There are usually some willing card-playing enthusiasts around that are up for a game in the Sun Room, on the patio, or any of the common areas. A wide assortment of board games, puzzles, and card games are available in the Sun Room. 4. 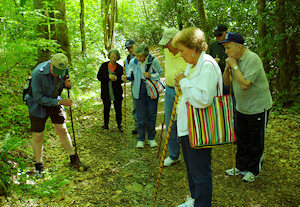 Plan a hike: If you would like to go with a group, there are usually avid hikers around. There are good hiking books in the office, and some suggested hikes are included in this book as well. 5. Read in the Tyson Library: Feel free to borrow any books from our library during your stay. Please return to the section of library shelves color coded on the book binding. 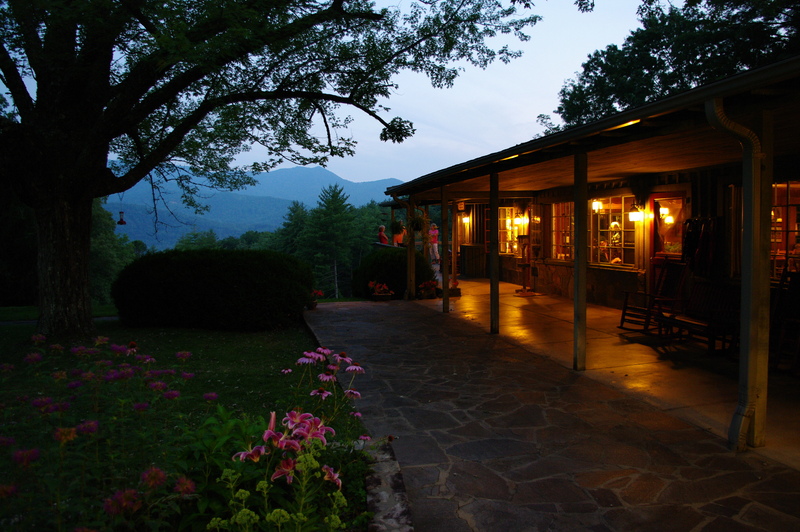 People enjoy reading on the porch, in the Sun Room, by the fireplace, or in their room. 6. 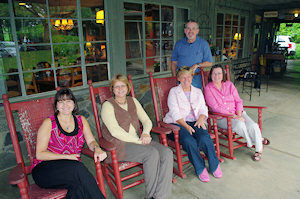 The Favorite Pastime – rock on the porch and meet some new friends.